Seibukan Jujutsu A Practical Martial Art For The Modern Day Warrior and is designed for self defense. It comes from traditional Battlefield Japanese Jujutsu practice and as a result maintains a substantial amount of Japanese formality, tradition, and respect. We are not Japanese but we learn from the history and traditions. Clothing: Students should budget for a judo type uniform. White jacket gi, white pants, white belt for beginning students for this Martial Art. Black Socks should be worn, and a comfortable black t-shirt under the Gi is desired. Beginning of class: At the beginning of class we face the Shomen (the front of class), and our Sensei (teacher). We bow to Shomen as respect to those who came before us, and then we bow to Sensei. Warmups: We usually begin class with a series of specific warmups to get us prepared for falling, rolling, grappling and throwing. 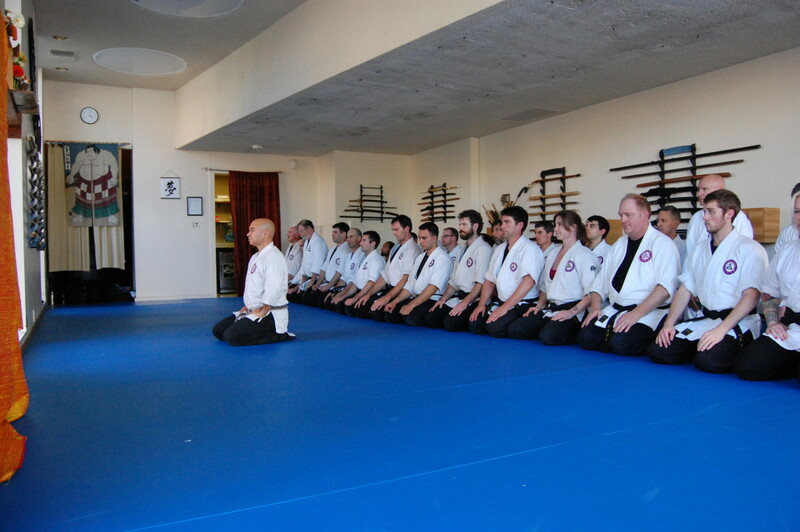 The warmups not only help with getting muscles and joints ready for exercise, but they also greatly help with learning proper posture, or kamai, balance, but also with learning Seibukan Jujutsu techniques. 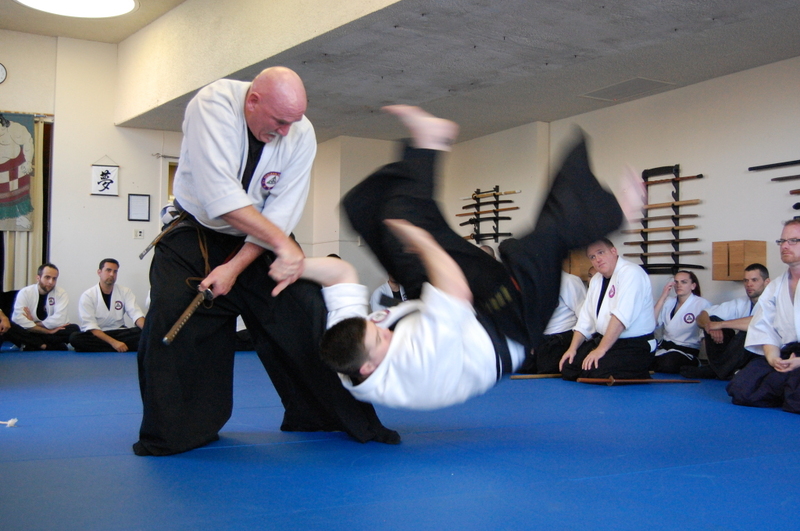 Strikes and Kicks: We practice strikes and kicks as part of Seibukan Jujutsu. These Atemi may be used to distract, to disarm, or disable an opponent. Atemi is generally used to set up a technique that results in an opponent ending up face down on the mat, with some joint lock or pin being applied. Falling and rolling: We practice falling and rolling forward and backward, and high falls from a variety of positions. These are techniques we use to attack, to retreat, or to perform as a team of Tore and Uke (one who applies, and one who receives a technique.). Basic Techniques: From beginners to very advanced students we practice basic techniques including Kihon-waza, and Tai Sabaki. These basic techniques evolve over time, and are the basis of all beginning and advance techniques. Demonstrations and training: Sensei will often show new techniques that come from a substantial playbook of Seibukan Techniques, mixing and combining basic techniques to end up with what is often very advanced methods of protecting yourself…. Sensei shows us the techniques from various angles and then we get to try it ourselves. Belts/Ranking: We all start out as White Belts, and progress through a series of different colored belts which signify that we have demonstrated techniques, concepts and understanding for that level. White, Yellow, Two Levels of Green, and Two levels of Brown, Black, and nine more levels of black belt are levels of rank. Family Network: Seibukan Jujutsu is one huge family made up of hundreds of Martial Artists of all ranks, and ability. The enthusiasm bubbles over at times when we get together to train and celebrate this martial art. The network of Seibukan Warriors is large and constantly growing and evolving. Two major events for the Seibukan Jujutsu system happen at the beginning of the new year, and halfway through the year. 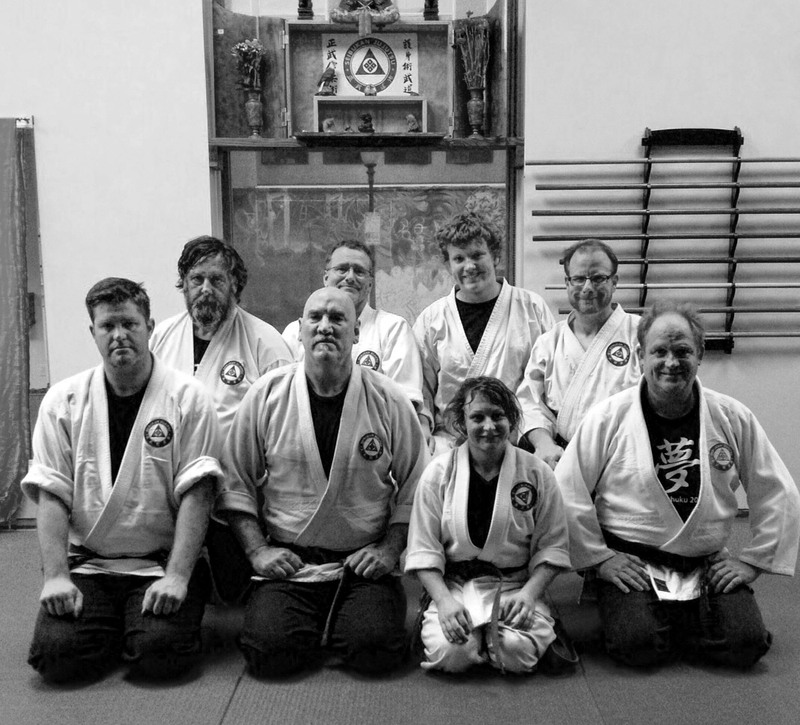 In past years the events, Budo Gasshuku, and Taikai have both happened at the Honbu Dojo, Seibukan Jujutsu Headquarters in Monterey, California. But upcoming events will happen in other states, and in other countries. Exciting times! 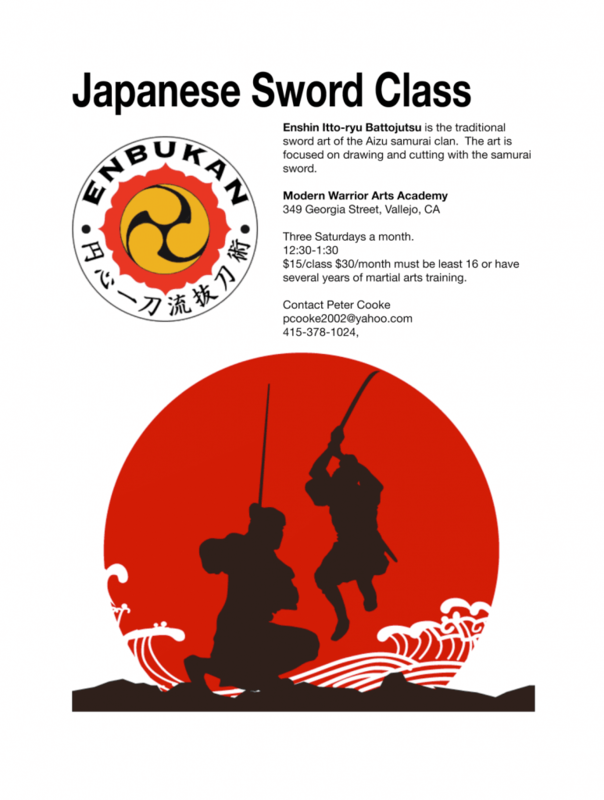 It’s been a busy spring at the Modern Warrior Arts Academy, with a lot of demonstrations going on. This past week Krista Williams demonstrated for her 2nd degree brown belt or Nikyu. It was a wonderful demonstration with Krista showing amazing determination. Come Play with the feeling of water. 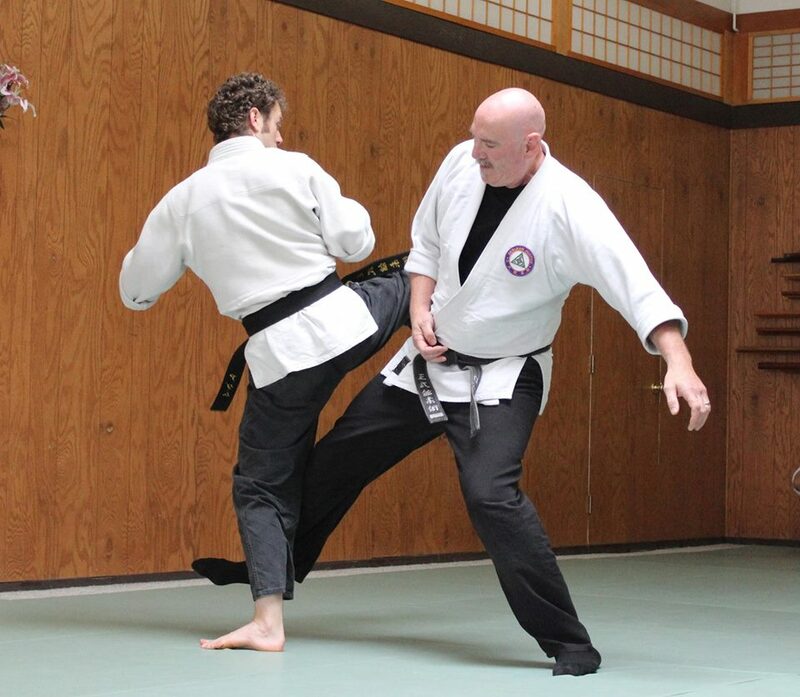 Shihan Roberts will be exploring acceptance, and sharing his 21 years of learning and teaching Seibukan. Drive to beautiful Mendocino and get your mind blown by this amazing Shihan! $35 for 3 hours. 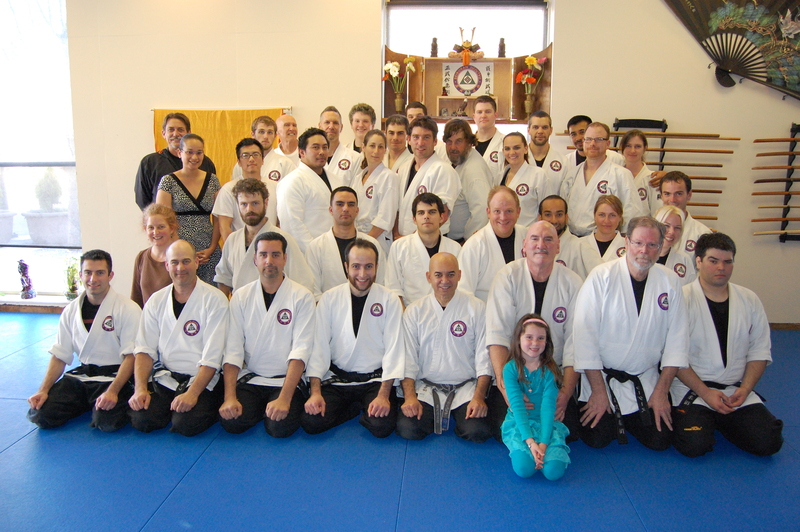 Seibukan Jujutsu of Mendocino updated the event photo in Bear Roberts Shihan Water Seminar. 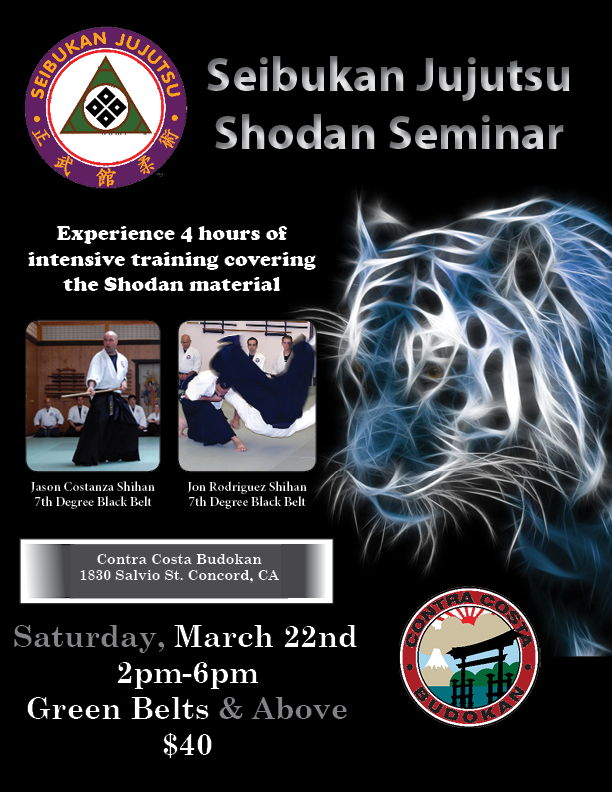 Experience 4 hours of intensive training covering the Shodan Material.